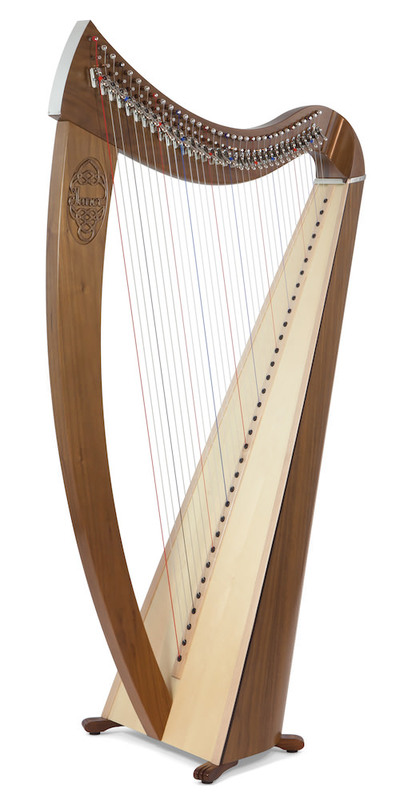 “When Joël Garnier offered to make me the harp of my dreams, I dreamed of a harp that my colleagues, students and I would love to play – quintessentially Irish, and more besides! The form of the Janet is inspired by the ancient Irish instruments, and the silver flash on the column is like a thousand fireplaces blazing in ancient halls. The string spacing is narrower and the tension lighter, as in the Irish tradition. 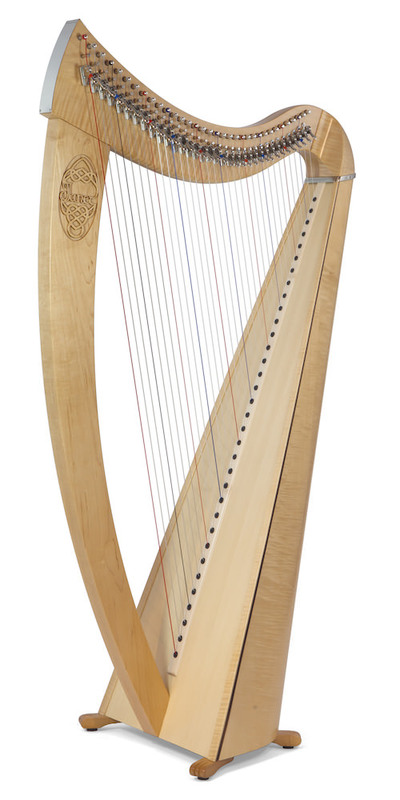 These allow the harpist to fly nimbly over the strings, and produce a fantastic sound, both rich and luminous.